If you are considering storm windows, it helps to have all the facts—from what they are to your options for materials and installation. Today, we’re giving you everything you need to know about storm windows. A storm window is a window that is installed outside a normal window. It’s not a replacement for your current window. Storm windows are installed for protection from bad weather (hence the name) and for improved insulation. Storm windows offer many benefits that make them an attractive option. They protect your primary window from damage caused by the elements or a stray baseball. They also increase insulation (thereby making your home more comfortable and saving you money on your heating and cooling costs). Finally, they reduce noise. All while costing much less than new windows! Do storm windows have any downsides? Storm windows aren’t perfect: there are some downsides. These include increased maintenance. (It’s important to clean any dirt and dust that collects between the storm and primary windows: improperly maintained storm windows can trap moisture.) Storm windows are not always easily removed. Finally, storm windows let in less light. 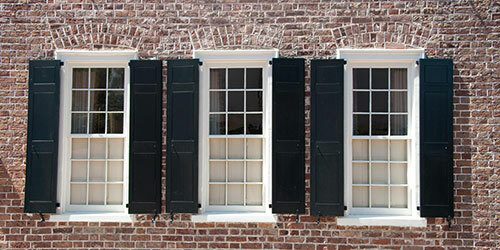 Storm windows can be installed on most types of windows, either on the interior or exterior. Interior storm windows are (you guessed it) installed inside your home, while exterior storm windows are installed on the outside. So what’s the difference between interior and exterior storm windows (other than the placement, of course)? Interior storm windows are more convenient to install and remove—particularly if you live in an apartment or home with more than one floor. They are also better than exterior storm windows at insulating your home, because they seal more tightly to the window. Exterior storm windows offer more protection from damage. (For this reason, they are often the choice for homeowners who live in historic homes.) They may also be better at deterring break-ins. What are my options for storm windows? Today’s storm windows also come in a wide variety of materials and styles to match the aesthetic of your apartment or home. You can find single-season sheets to triple-track glass units designed for many years of use. The most common frame materials for storm materials are wood, aluminum, and vinyl (each with their upsides and downsides). Aluminum requires almost no maintenance but does not insulate well. Wood is a better insulator, but it weathers with age. (Aluminum or vinyl-clad wood can reduce the amount of maintenance needed.) Vinyl is very inexpensive but may crack or warp at extreme temperatures. The material for the panels vary as well, with options including glass, plastic, and polycarbonate. Like the frame itself, these have their advantages and disadvantages. Plastic is lighter and more durable than glass but is damaged easily or turns yellow over time. Glass provides better visibility and lasts longer but is heavier and more easily broken. For glass panels, low-E coating is an option. Low-E glass lets in the same amount of light while reducing heat transfer through the window. This means that the window reflects heat inside in the winter and outside in the summer, keeping the home at a comfortable temperature. You can find single-season sheets to glass units designed for many years of use. Storm window units come in a variety of configurations, including two-track, triple-track, two-track slider, and basement (or picture). Your choice will depend on the primary window you are covering. Whatever type of storm window you choose, make sure that it is made of strong, durable materials, has weatherstripping at all movable joints, and has interlocking or overlapping joints. This helps ensure that the window is good quality and will insulate effectively. How do I install storm windows? Storm windows can be installed the DIY route, or you can hire a professional. Some people DIY because they are handy around the house or need to save some money. Others like the peace of mind of knowing that their storm windows were installed by the professionals. How your storm windows are installed will depend on your budget and your level of comfort with big DIY projects. We hope this helps you choose the best storm windows for your home! If you have any further questions or would like to ask about having a professional install your storm windows, feel free to give us a call. We’ve been helping homeowners just like you with installations for more than 70 years. Previous PostCan Winter Weather Break Your Windshield? Next PostIs It Illegal to Drive with a Broken Window?